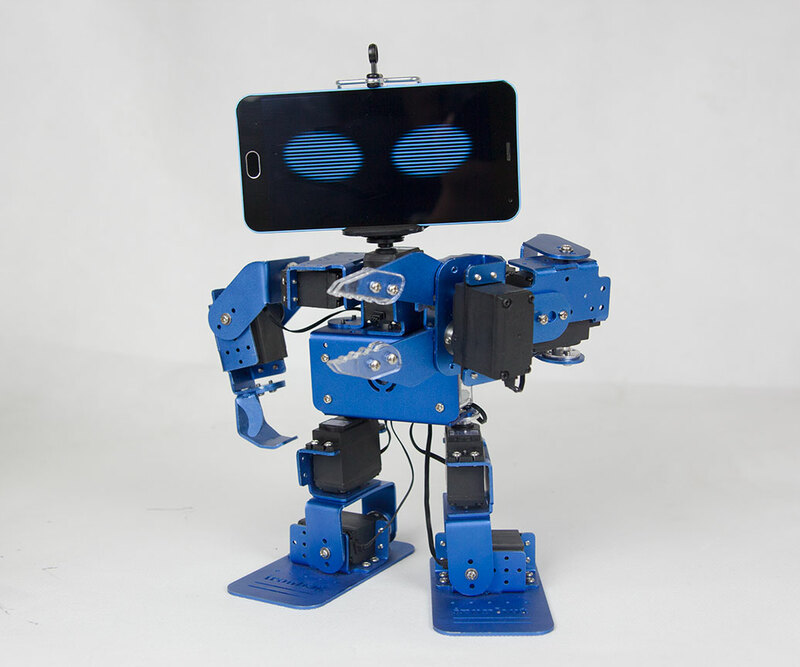 Ironbot was originally a successfully funded IndieGoGo project founded by Tom Hu and Tab Qiu out of XiaMen, China. 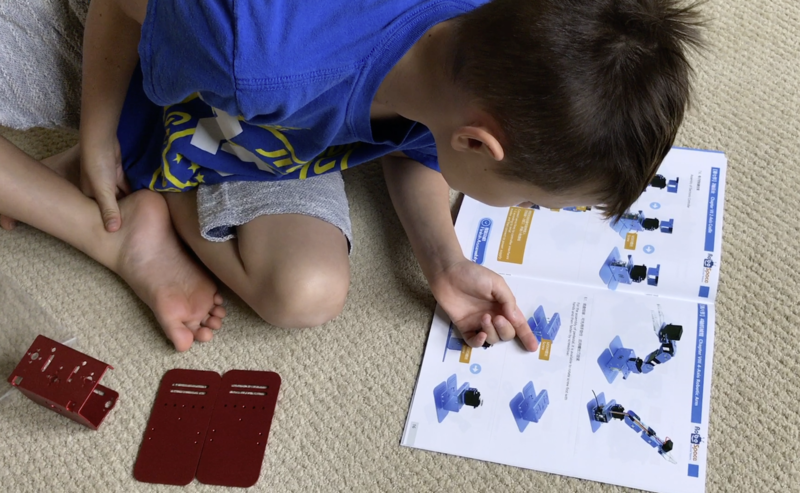 I was fortunate enough to receive this product to review in May and I was excited to work with my 8-year-old son on this project. 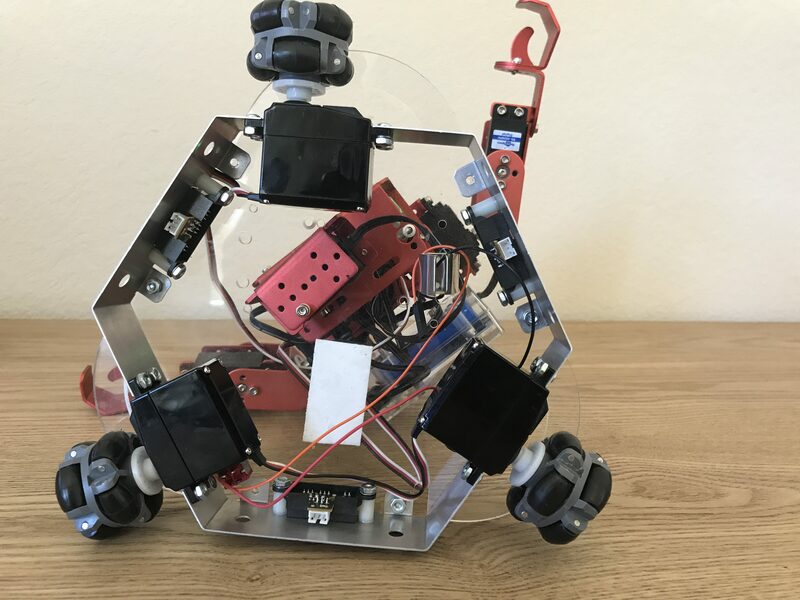 Also since I’ve studied Robotics/Electrical engineering in school and worked in the Automation industry for about 10 years before founding my own UX Design agency, this re-kindled my love for robotics and was an enjoyable experience working together on this with my son. 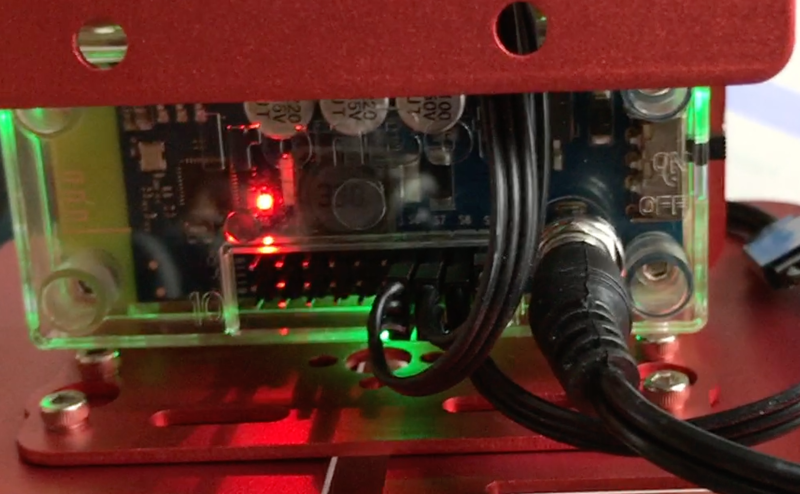 Quality – The hardware was made of really nice aluminium, while the electronics were housed in a nice Plexiglas case. A really high-quality kit. We did have a motor that went out and another that was a bit intermittent during our review. Software – The latest software was really easy to use and had no issues with connection or working properly. The Xlink part of the program wasn’t working at the time. We also had to use the Android app as the iOS app from the store was an older version. The robot came neatly packaged with all the parts separated within the box and labeled appropriately. The beginning of the manual displays a nice visual parts list, so that you can easily see what is included. The manual was really easy to follow even with both Chinese and English being displayed. 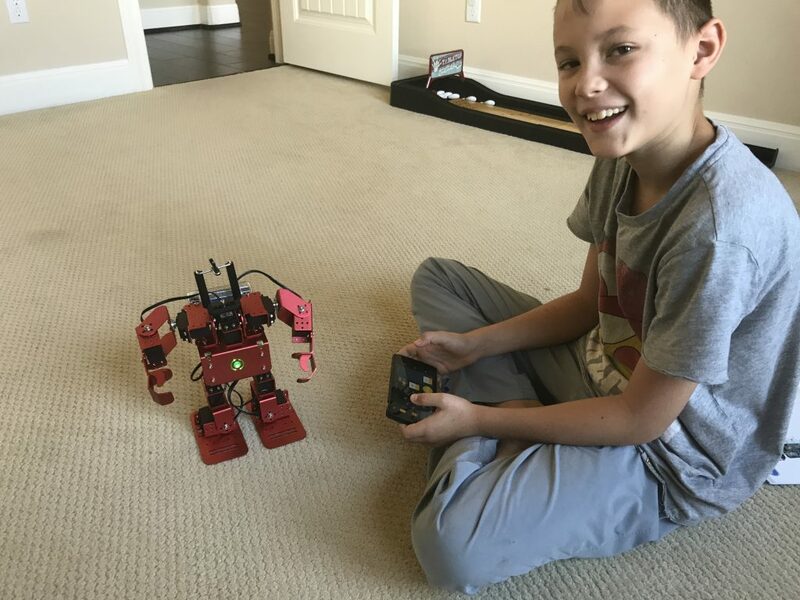 In the beginning, they go through the basic history of robotics which was great to talk through with my son. 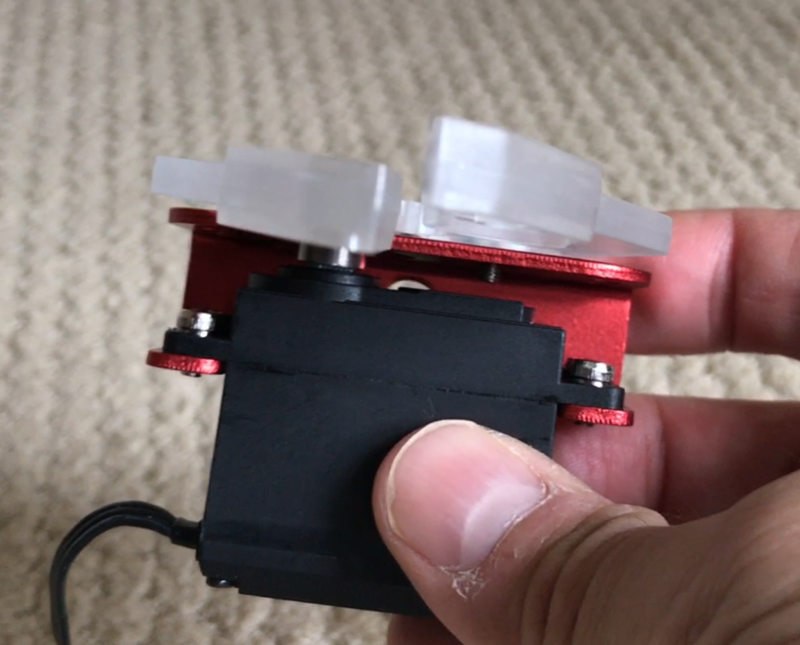 It also goes through some of the basics regarding assembly, attaching specific servos to the plates, etc. 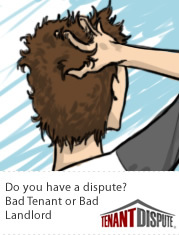 which are helpful tips before you start. I also discussed with my son how the differences in sizes between inches and millimeters as well as the basics of the motors and how the arm mimics the human arm joints. We also could see what the written Chinese translation of English words looked like as well, which was interesting to talk about. All in all, I think this has been one of the easiest user manuals to follow esp not originally being from the USA. 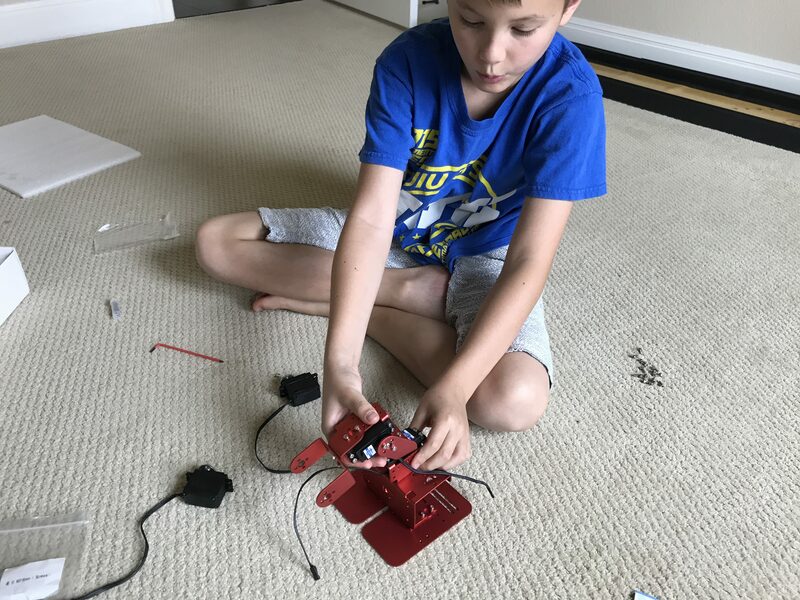 Constructing the robot arm was easy for my son as I helped him on just a couple assembly steps. It was great to see how my son understood the meaning of axis and joints and how the human arm is made up of a similar number of joints and can rotate around a specific axis as well. We downloaded the app from the Google play store since the iOS version of the app wasn’t the latest. 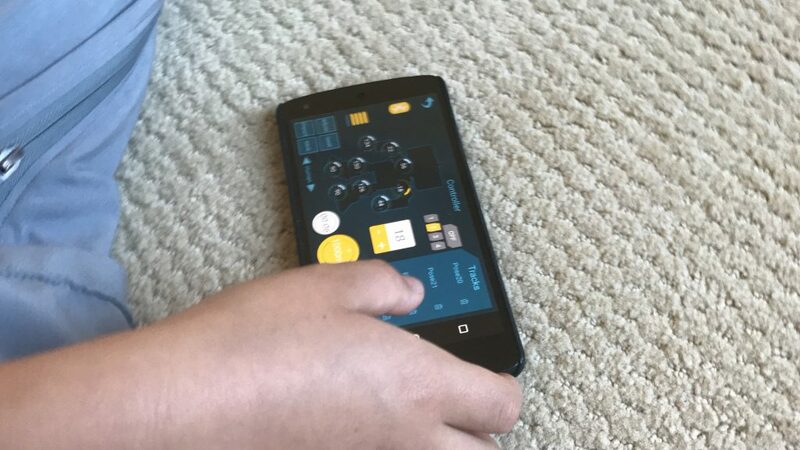 We used my Nexus 7 android phone and it connected quickly to the controller via bluetooth.The visual interface of the software made it really easy to control the robot and for my son to quickly learn how to teach the robot a sequence of events and run through them. 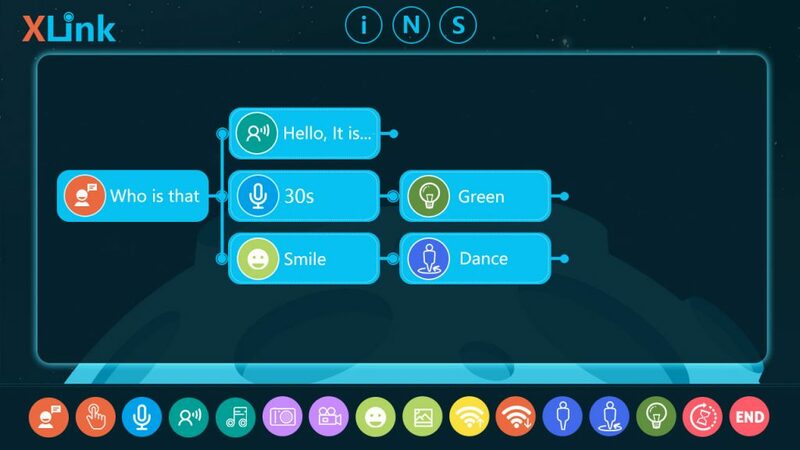 The visual interface of the software made it really easy to control the robot and for my son to quickly learn how to teach the robot a sequence of events and run through them. Each motor can be directly controlled by the large number with the + and – button below it to move it +/- 180 degrees. Also you can adjust to different speed levels with the 1-4 and reset the motors to the home position. 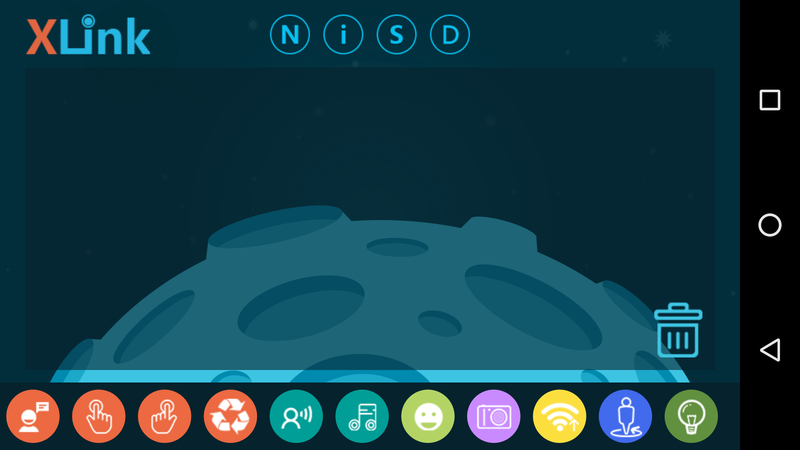 Recording positions and replaying is a snap by quickly using the “Track” and play button to walk through the different positions that were recorded. Assembling this robot was a bit more difficult, so the Arm robot was definitely a good “warm up” before trying this one. There was a bit more guidance needed on a couple of areas to help my son along, but he was able to put most of it together. We ran into a couple of issues with one motor that didn’t work and another that was a bit intermittent. Luckily there is an extra motor and we used the intermittent one for the head since movement for this wasn’t as important. The Xlink program didn’t work at the time of this review. 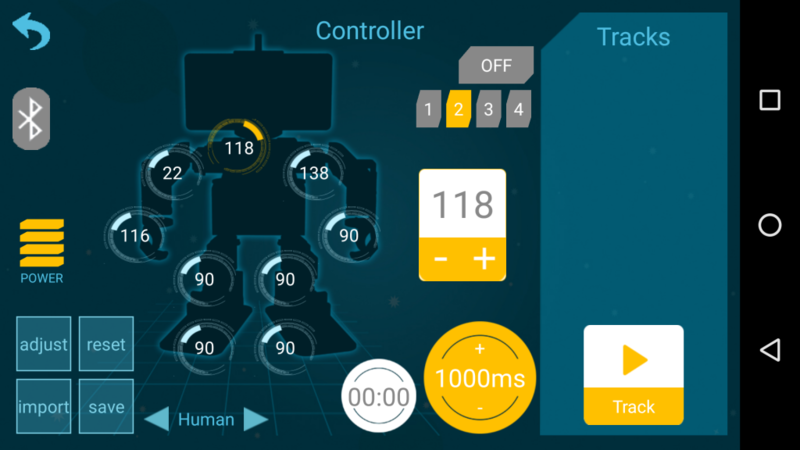 I wasn’t able to drag and drop or tap to add the blocks for programming the robot (as seen in the 2nd image below). Also I don’t see a quick way to get back to the main home screen, so this would be something to add in the software as the “Control” screens provide a back arrow button to get back to the main screen. Walking of the robot is not quite that great as it’s a bit unstable since it cannot lift it’s foot and walk. However, luckily we decided to make a couple slight modifications that allowed us to help with the mobility. 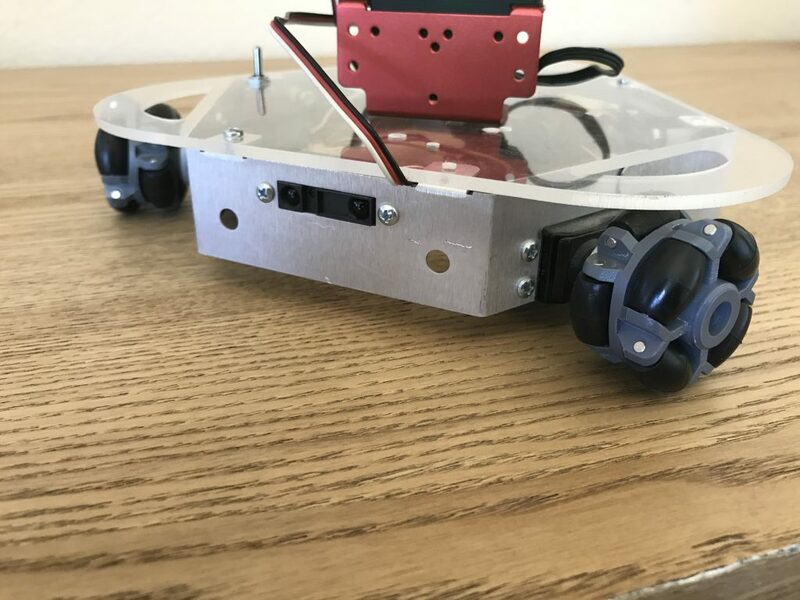 As you can see here we’ve added a new base with 3 Parallax Continous rotation motors, omni-directional wheels on a Plexiglas/aluminum chassis base. 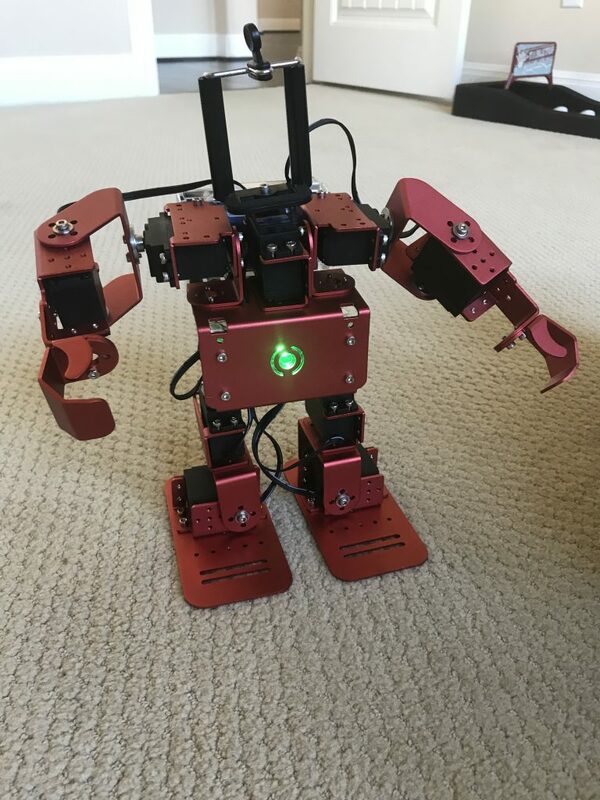 IR sensors are also located on it but we haven’t connected them up to the Ironbot. 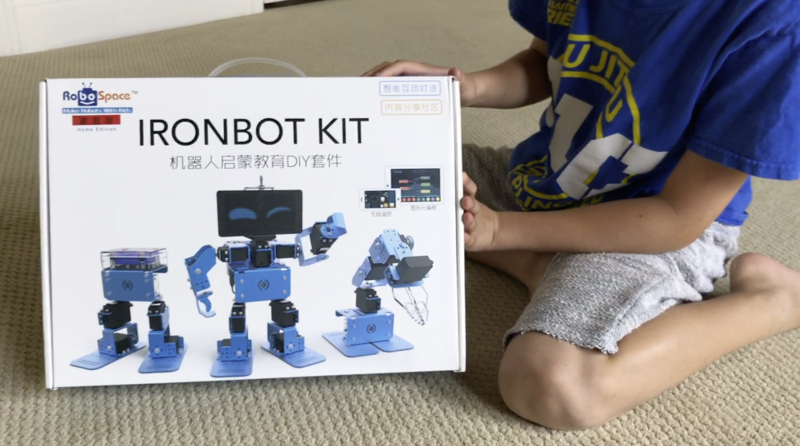 For someone who’s been involved with robotics a good part of my professional life, as well as purchasing many other types of robotics kits for my son and me to play with, this is one of the best. 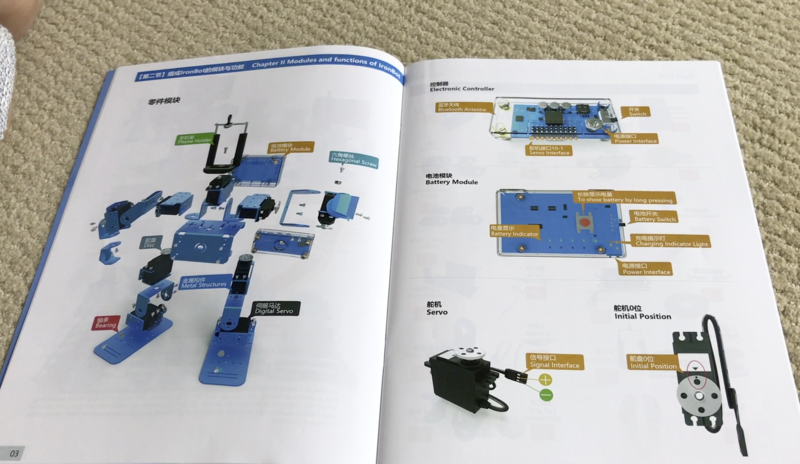 Everything is very well made (aside from the motor issue), the manual instructions are nicely laid out for children and adults to pick up and quickly get started. The software is easy to use and nicely put together. The price will probably be a bit steep for many families though. If the price point could come down to under the $200 range, I think this would help with sales. 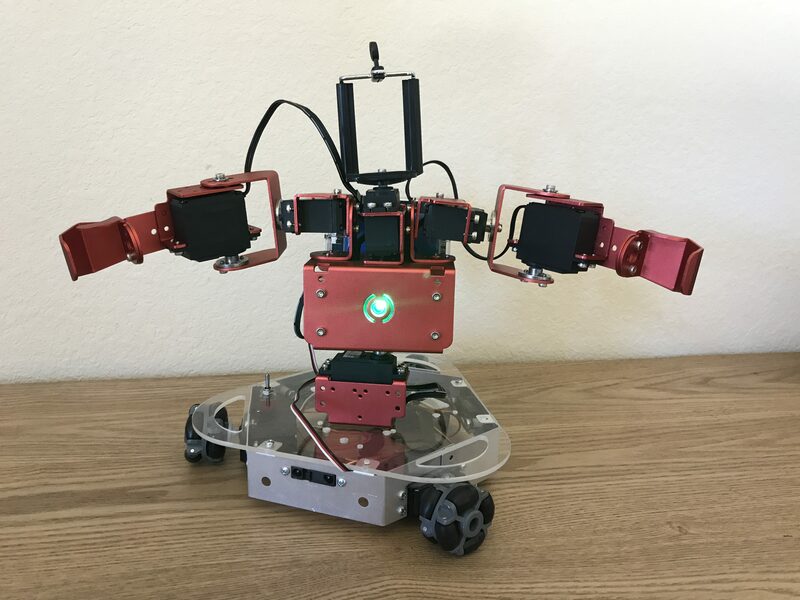 Check out the other products by Robospace and at Amazon.